During the past 30 years, there have been a steadily increasing number of scientific and popular publications dealing with lying and deception. Questions about the extent to which public officials are deceptive are standard fare in current magazines and newspapers. This volume aims to present on a more precise conceptualization of this phenomenon, manifested in some well-known constructions like spin, hype, doublespeak, equivocation, and contextomy (quoting out of context). 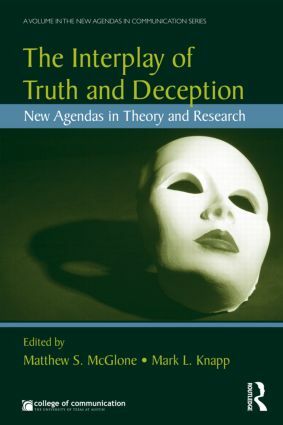 The contents of the volume have been generated for the New Agendas symposium at the University of Texas College of Communication, and all the authors are young, leading-edge researchers offering innovative perspectives and explorations of lying and deception in various contexts. This volume will appeal to scholars, researchers, and advanced/graduate students in communication, media, and psychology. It is written to the level of advanced undergraduates, and it is appropriate for use in courses covering lying and deception.